Sauber has become the latest team to quit the Formula One Teams' Association (FOTA), AUTOSPORT can reveal, as doubts also emerge about Scuderia Toro Rosso's position in the body. 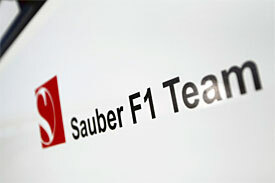 In the wake of Ferrari and Red Bull Racing's decision to withdraw from the team's organisation last week, sources have revealed that Sauber also notified FOTA members several days ago that it too was leaving. There are also fresh uncertainties about whether or not Scuderia Toro Rosso has also quit the body - with sources revealing that the Faenza-based team did not send a representative to FOTA's meeting in London on Tuesday. Although Toro Rosso was unable to confirm its position when asked on Wednesday, its absence from the meeting - allied to the stance adopted by sister team Red Bull Racing - would make it unlikely that the outfit is to remain a part of the organisation. It is not clear, though, whether or not Toro Rosso has officially informed FOTA of its stance yet. FOTA's remaining members - which now are McLaren, Renault, Mercedes GP, Williams, Force India, Lotus and Virgin – gathered on Tuesday for a meeting to discuss where the body goes from here. A FOTA spokesman declined to comment on the outcome of those talks, or where the organisation planned to go from here. However, sources have suggested that – with Red Bull Racing, Ferrari, Sauber and Scuderia Toro Rosso still having to serve a two months' notice period before they can officially leave – there will be a push to try to get them to reconsider their decisions. Such a move could be hastened if efforts are ramped up to get the Resource Restriction Agreement, which has dominated discussions and disagreements in recent weeks, outside of FOTA's remit. AUTOSPORT revealed last week that McLaren, Red Bull Racing, Ferrari and Mercedes GP are to meet soon to continue talks about the RRA, to try and agree a framework to move the cost control forward.